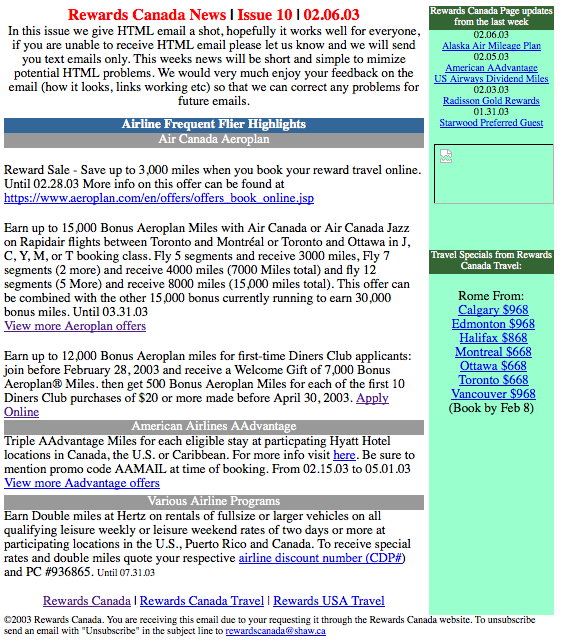 Rewards Canada: Apr 30 Update: 1,000 Free AAdvantage Miles, newest Flying Blue Promo Awards and a throwback to a 2003 newsletter! 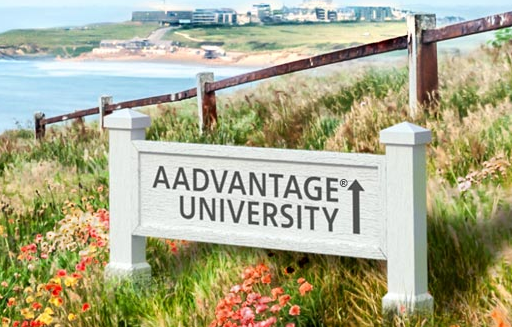 Apr 30 Update: 1,000 Free AAdvantage Miles, newest Flying Blue Promo Awards and a throwback to a 2003 newsletter! Primarily points and miles earn and burn offers today! Check out the American AAdvantage Free Miles offer listed below if this is a program you have miles in but don't utilize very often. Promotions like these are great at keeping your account current. The latest set of Air France KLM Flying Blue Promo Awards are out however this time there are none for Canada. That being said there are some great intra-Europe options if you are heading to Europe this summer but haven't decided on travel within the continent. Some more details can be found here. Remember your best bet for earning Flying Blue Miles in Canada without actual flying is with the Starwood Preferred Guest®* Credit Card from American Express Current sign up bonus is 20,000 Starpoints which translates to 25,000 Flying Blue Miles which is more than enough for some of those flights within Europe! Here is a look at the 10th issue of the Rewards Canada News newsletter from February 6th, 2003. This is the earliest issue we have online as 1-9 were generated only as emails and not actual HTML webpages. KLM had an error with yesterday's Wild on Wednesday offer The flights to Belfast start at $799 rather than $699 as the initially advertised. This offer is all in for departure between May 7th and June 18th 2015 or between September 11th and October 15th 2015. Simply book by April 30th Find out more and book here!